Original Member: Bold City Brigade, since 2013: DTWD, baby! Go Jaguars! Member: Florida Brewers Guild; Brewers Association; Jacksonville Girls Pint Out; St. Augustine Home Brewers Club. 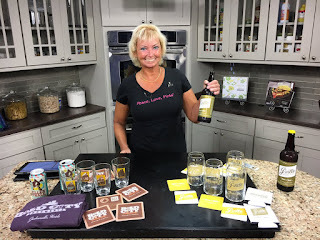 on the First Coast Living show, July 15, 2016. Check it out: here. Would love to do that again! Over the years, I've realized that I really like (uh, love) craft beer and the craft beer community. Love travel and taking photos. Wherever I go, I find the beer! Love sports, especially golf, football. I'm into a lot of things: beach, sun, scuba, nature, photography, concerts. PADI-Certified Advanced Open Water Scuba Diver. I love birds, birdwatching. Beach Bum, Gym Rat, Golf Nut, Sports Nut. I do 5Ks (mostly for the social thing). You'll see me wearing various color wigs during some events (yes, there are even pictures). Find me hanging around breweries, bars, beerfests (I'm into beerfests). I'm really friendly, so stop and say Hi! What could happen? No stranger to craft beer...been around the craft beer scene for years. Achieved Certified Cicerone® certification in 2015 (Level 2); obtained Cicerone® Certified Beer Server certification (Level 1) in 2013. Brewery experienced (don't know if that's a term, but I'm going with it). I've worked beer fests all around Florida. 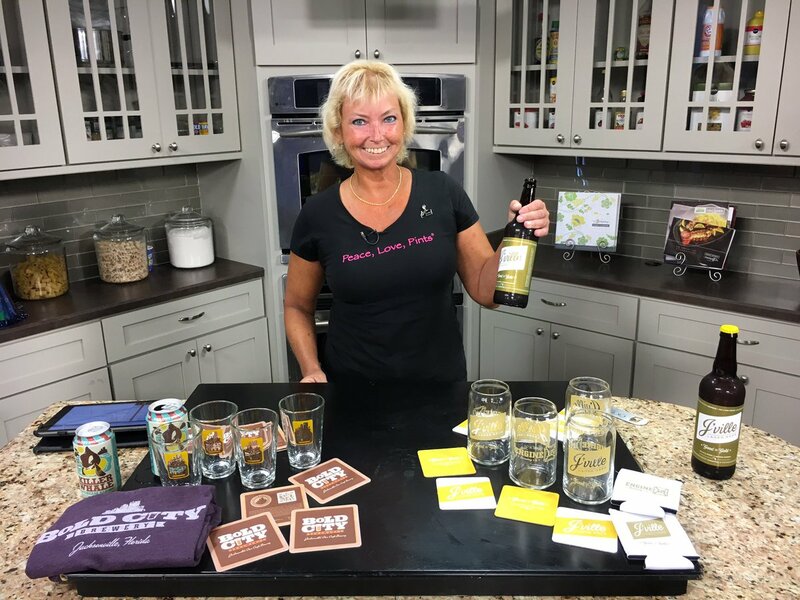 I keep up with what's going on with the Florida breweries and their beer, and, I'm always learning more! Do I think I'm a beer "expert?" Nah, I leave that stuff to the other guys. Craft beer bartender. Certified bartender. Former exercise instructor (that explains some things ... WooHoo! ), certified personal trainer, former teacher. Transplant to Florida from Chicago/Northwest Indiana area (and, yes, I've been to Three Floyds, although I visited on a trip from Florida). Love sports. Still a Chicago Bears and Chicago Blackhawks fan. Went to Super Bowl XLI; went to 2015 Stanley Cup Finals (twice; there's a blog post about that, too); have been to Augusta National for the Masters; regular at The Players. Went back to Chicago for Cubs NLCS Game 2 in October 2016 (well, also went to four Chicago breweries while I was there, too). Can't take the Chicago out of the girl. HEY, YOU SHOULD HIRE ME! Here's my elevator pitch: Experienced trademark attorney (turned beergeek), with marketing and management background. Marketing certificate from Cornell. Background in restaurant and retail management, health club management/sales. 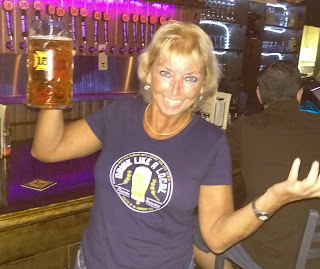 Former brand director/marketing rep/communications and media manager/social media nut/event planner and coordinator/manager/bartender/brewery rep at a local Florida craft brewery (*sigh* -- it was my life 24/7 for two years; sad story there; would love to do that again!). 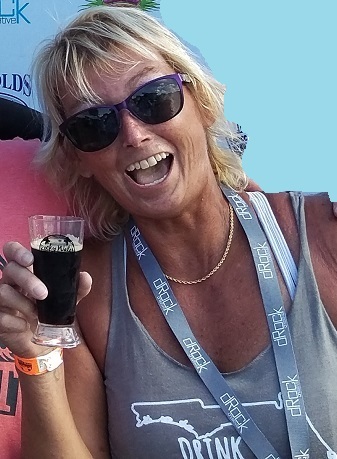 Tour guide on The Jax Brew Bus and formerly The Brew Bus-Jacksonville. I really know the Jax area breweries! 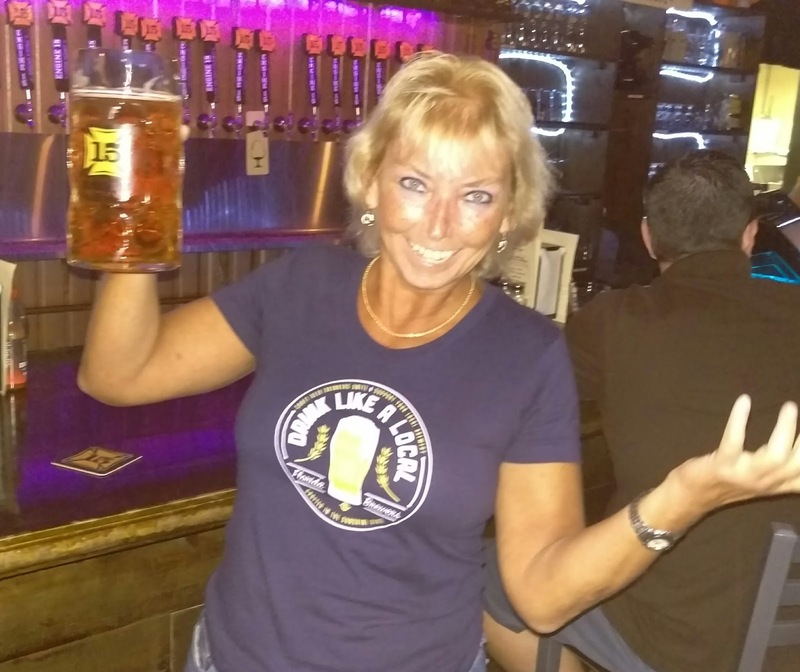 And, I keep up with ALL things beer all over Florida. 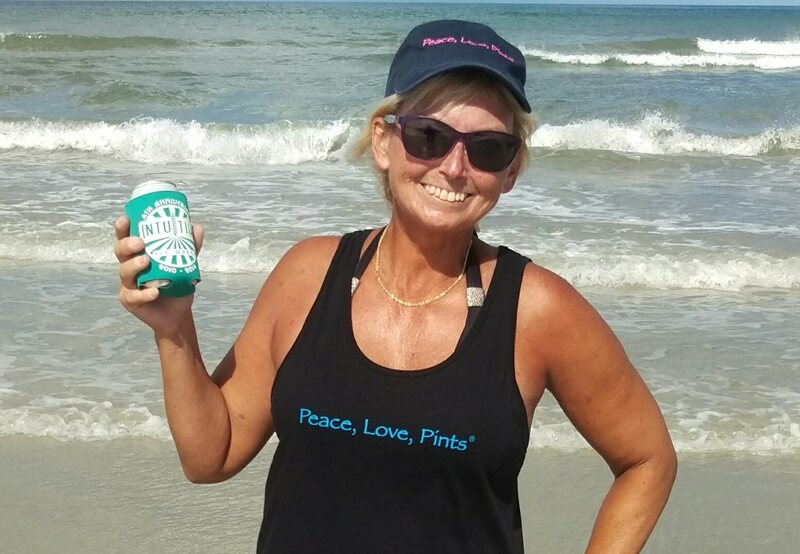 Seeking new opportunities; open to relocating anywhere near beer and a beach. Will work for beer and beer money. Yes, I can lift heavy things, I can pour beer, I've worked a bunch of beer fests, and I know how to use a POS system, keyboard and a smartphone. A few reviews from my tours: "thank you very much for an awesome ... tour. My father-in-law and brother-in-law from Colorado had a blast... You were a great guide and made it very fun!" ..... "Your beer knowledge is soooooo awesome; I could listen to you forever." .... " ...[tour] was really cool with you and your knowledge, music, ..." Aw, thanks! Socializing (a lot) on Twitter and Instagram @BrewNymph. You should follow me for beer banter and more stuff you need to know -- or, just for fun. Also on Untappd, Google+, Facebook, Pinterest. I'm even on LinkedIn, because yes, it is possible to be professional and fun at the same time. Want to contact me? Use the contact box in the footer, or send me an e-mail at brewnymph@gmail.com. Thanks for enjoying beer with me! CONTRIBUTOR: Lindsay Johnson: Sidekick. Assistant to Editor, content assistant, photo assistant, beer tasting assistant, IPA guru. In true collaborative spirit, he gets dragged around to beerfests and breweries and takes photos when my arms are too short. I think I trained him well. Good at finding new beers. Entertains photo subjects. Speaks hops. DISCLOSURE: Pursuant to the applicable FTC Marketing, Advertising and Endorsement Guidelines, this website makes the following representations: Content on this site and associated social media consists of my fact-gathering and personal reporting, personal opinions and views, and individual thoughts, all of which are unbiased and unsponsored, unless otherwise specifically stated. While I may receive media passes to events or complimentary product, all content, reviews and summaries on this site and associated social media pages are unbiased, not compensated, and do not constitute paid endorsements. Any paid endorsements of product or events will be specifically identified as such. See also, Disclosure page.